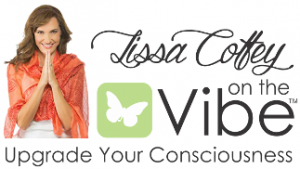 Dear Lissa – I enjoy your morning emails very much especially today’s message, as it hit very close to home for me. Close to 16 years ago now, I created a Kindness campaign which included fliers, a t-shirt design, a stamp, a logo, and a domain name “globalkindness.org” The campaign was “Kindness is Contagious….Catch it and Spread it” But, you know what happened? I let one person pop my bubble and I lost momentum and confidence. It’s all in the timing, right? So now is the perfect time. You are awesome! And this just goes to show how contagious kindness really is! I’m excited that you are getting your program going – we need more kindness in every way, everywhere! Share your message with the world. You are doing great work! I’m rooting you on! The world is changingâ€¦ and we are changing the world by our actions whether we realize it or not. Just a thought can change things, make things better. So the idea is that the more people who are growing spiritually, the more people who are consciously seeking this change, this improvement to our world, the more easily and quickly this change will occur. It’s happening already.